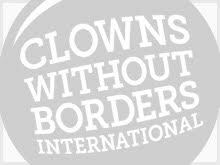 In August 2014, Clowns Without Borders Canada went to Peru and performed 5 shows for 4030 people. In 2008, Clowns Without Borders Spain went to Peru and performed 21 shows for 7000 people. In 2007, Clowns Without Borders Spain went to Peru to support the populations affected by the earthquake in Pisco. They toured in the region and performed 63 shows for 16,935 people. In 2005, Clowns Without Borders France implemented a project in Peru, financed by its own funds. French artists did shadow theater and puppet workshops for street children in Lima.